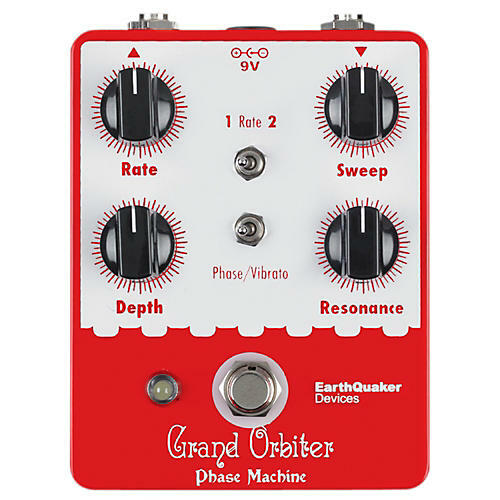 A phaser that combines two legendary phasers and gives you unlimited phase sounds. œdry switch is in the off position, this should remain at max. Resonance: Controls the regeneration of the phasing. Rate 1+2: Changes the range of the speed control. 1 is slower, 2 is faster. Dry: Cuts the dry signal to create a vibe/vibrato effect depending on the setting of the other controls. Vibrato is created by turning the rrsonance down low. Don't get phased out. Order now! Power: Any standard 9 volt DC power supply with a negative center 2.1mm barrel.